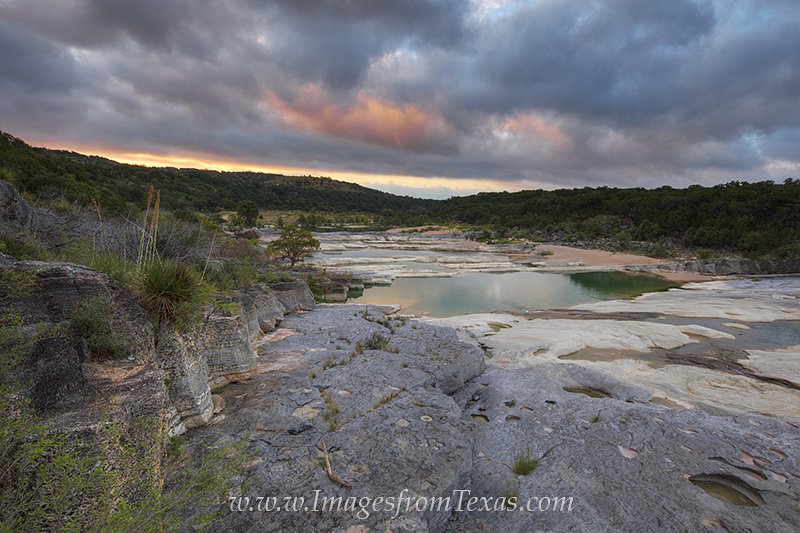 Low clouds hung over the Pedernales River basin in the Texas Hill Country on this September morning. Still, the light of sunrise was able shine in a few patches of the gray. Below, emerald pools began to show off their beautiful colors in this small sanctuary amid a rugged landscape. Photo © copyright by Rob Greebon.